It's that time of the year again. Next week we will be hosting our bi-annual Sample Sale again together with OBEY and this time TNO and NOYS will be joining us. Expect all FW'18 collections as well as archive pieces for really great prices. 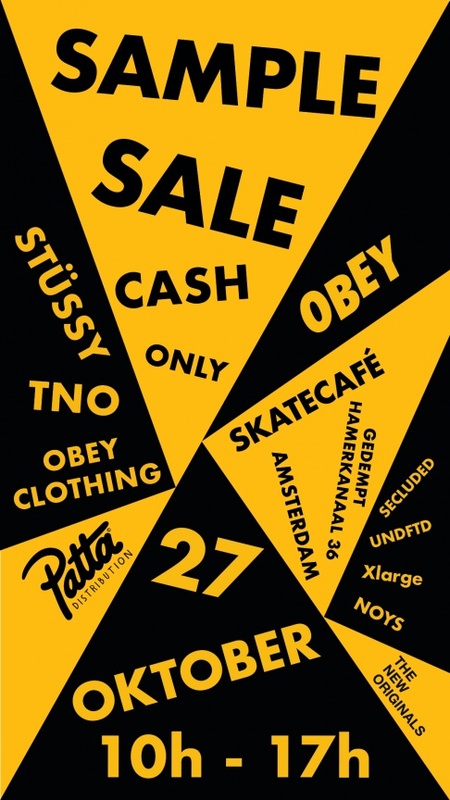 We also got a new location this time : SKATECAFE in Amsterdam Noord. Hope to see you there! Gedempt Hamerkanaal 36 in Amsterdam. Just like last time, it will be an ONE day only event! !